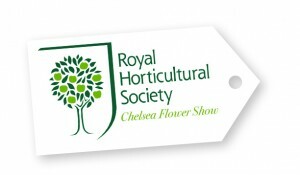 The Slow Flowers Podcast is coming to you this week from Britain, where I’ve been touring the Chelsea Flower Show, reporting on gardening and floral trends for Houzz.com, and speaking to a passionate group of British Flower Farmers. I promise to bring home inspiring podcast interviews to share in the coming weeks. A special thanks to Gillian Hodgson of Fieldhouse Flowers and the force behind Flowers from the Farm – an organization of British flower farmers, as well as to Sarah Statham of Simply by Arrangement, both of Yorkshire, who created a magnificent itinerary for my visit. You’ll hear from them both in future reports. “I was meeting with a client last night and I asked her how she found us. Much to my delight, she found us via Slowflowers.com! She is a perfect fit for my company and I am proud to be listed on this site. Thank you for working so hard on this! Mary’s note is so encouraging that I wanted you to hear it – and check out this news clip featuring Mary and Dawn. “Anything you can get locally grown will be fresher; it will last longer; it’s going to do better in the vase.” — Dawn Clark, A Garden Party. And next, a note from one of my favorite flower farmers, Joan Thorndike of Le Mera Gardens, based in Talent, Oregon, just outside Ashland. Joan is featured in The 50 Mile Bouquet, and she was an early supporter of Slowflowers.com. She is a farmer and a florist, famous for her summertime Oregon wine-country weddings. 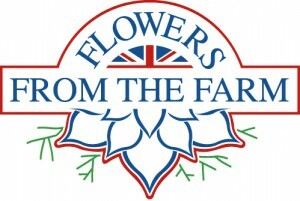 Please keep these updates coming – it is your anecdotal stories of customers finding their American grown flowers from Slowflowers.com farms and floral designers that allow me to share the news with others interested in joining this movement. 4th generatoin Fern Farmer Erik Hagstrom. I met today’s guest in person – finally – after a long-distance social media acquaintance. 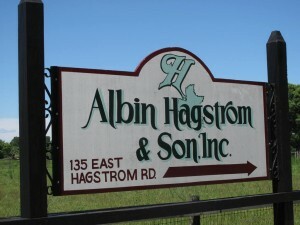 Please meet Erik Hagstrom of Albin Hagstrom & Son. 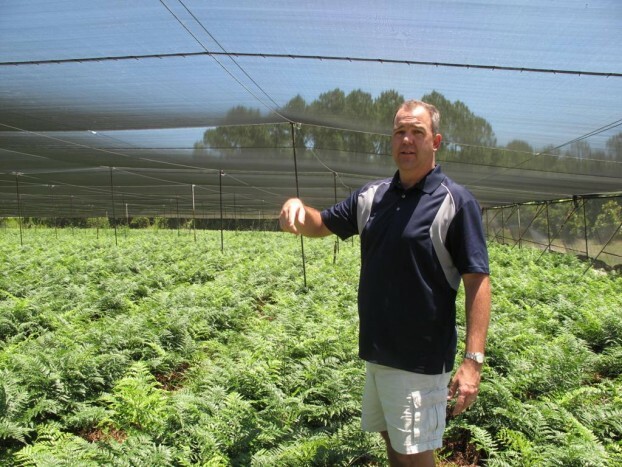 Based in Pierson, Florida, Albin Hagstrom & Son is one of, if not THE, largest American farms growing ferns, greenery and all types of cut foliage for the floral marketplace. The family-owned business was started in 1928. 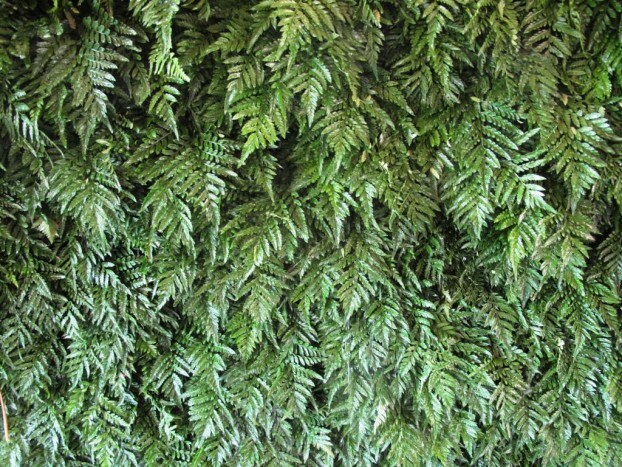 Glossy and durable — Leatherleaf fern. Not only did Albin Hagstrom & Son join the Slowflowers.com site very early after we launched, Erik has been a super supportive member. On two occasions, when I was booked to do interviews with Florida radio personalities, I asked him to send a sample box of Florida ferns and foliage to the host. He more than exceeded my expectations. Such a generous gesture that proved to be a tangible example of the Slow Flowers movement – and in both cases, those radio hosts mentioned receiving those beautiful Florida ferns while we were on the air. That’s the kind of partnership that helps all of us in the movement. 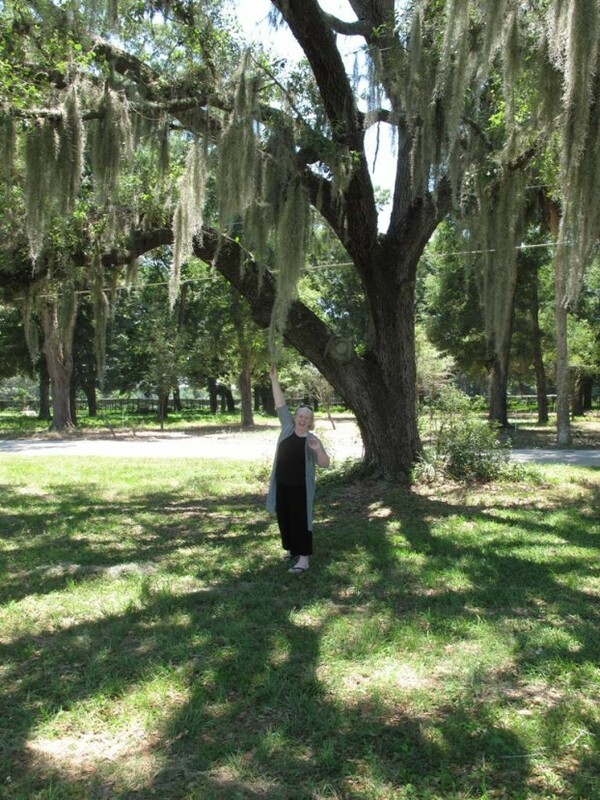 Under the live oak, as I attempted to reach the naturally draped Spanish moss. Last week I spent five days in Orlando, Florida. I was thrilled to have an extra day before I started speaking and designing on the Festival Stage at Disney Epcot’s Flower & Garden Show, and while my two sons went off to Magic Kingdom, I headed north on Interstate, about 75 miles south of where Albin Hagstrom & Sons is located, to find the hamlet of Pierson, population 1,730. Variegated pittosporum shrubs, growing prolifically under a shade structure. I had a fun visit with Erik’s dad, Richard, grandson of founder Albin, who has just turned 80 and is a walking encyclopedia of fern-farming. Tree ferns, naturalized under the canopy of live oak trees. 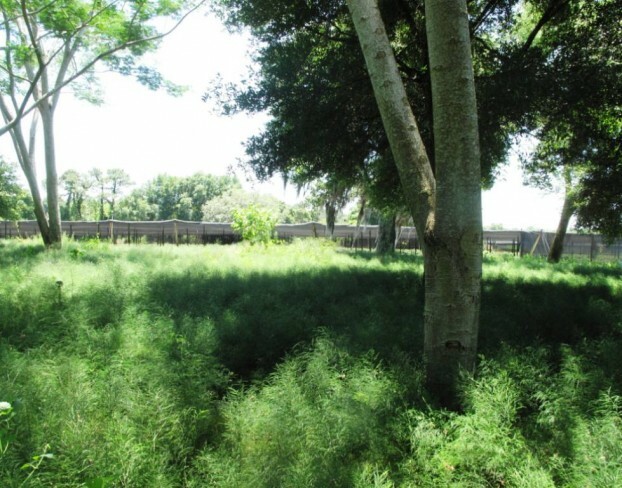 Then Erik and I jumped in his pickup truck to drive through some of the production area, passing through shade structures and then following a narrow road through the “hammock” where ferns grow naturally under the canopy of ancient live oak trees. Mostera. Beautiful, but I wasn’t going to venture too close! Anytime I wanted to take a photo, Erik indulged me by stopping and letting me hop out. 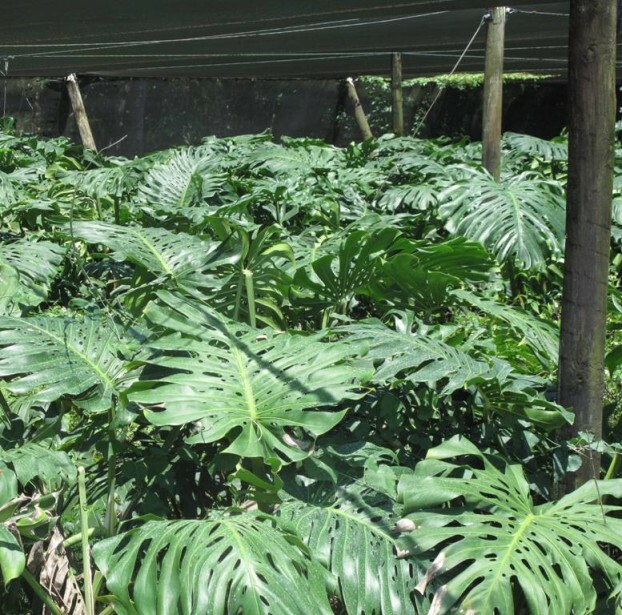 However, when we slowed down to view the shade house where Monstera foliage grows, he warned me that rattlesnakes like to hang out in the protective tangle at the base of these tropical-looking plants with such dramatic leaves. Um, no thank you. I stayed in the car! But I did find it interesting that most of Albin Hagstrom & Son’s Monstera goes to the cruise ships that dock in Florida. 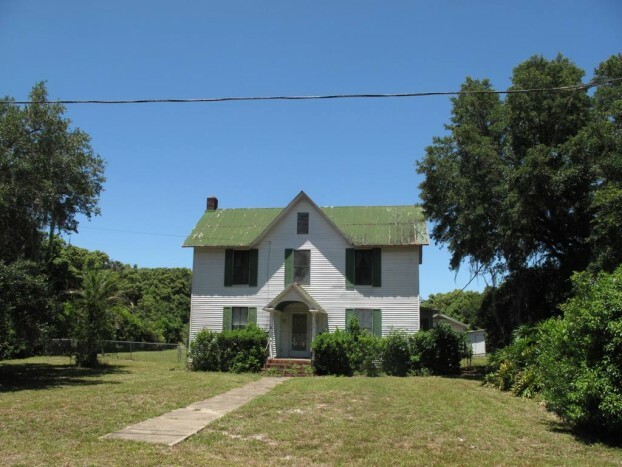 The Hagstrom family homestead, built in the 1920s by great grandfather Albin. You can see the Swedish farmhouse influence in its simple lines and appealing symmetry. And by the way, Erik is a man of many interests. He started his career working for the famous Daytona International Speedway and has an extensive background in promotions and marketing. While he eventually left the world of racing to grow ferns, Erik is still a huge fan of NASCAR events. He is the owner of an American-made pickup truck, a fact that did not escape my notice! 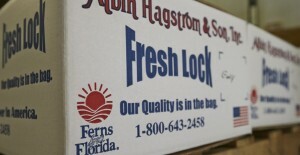 Tree ferns, just picked and ready for shipping to all 50 states. I hope you enjoy our podcast interview and gain a newfound appreciation for FOLIAGE — an important source of botanical beauty for floral design. 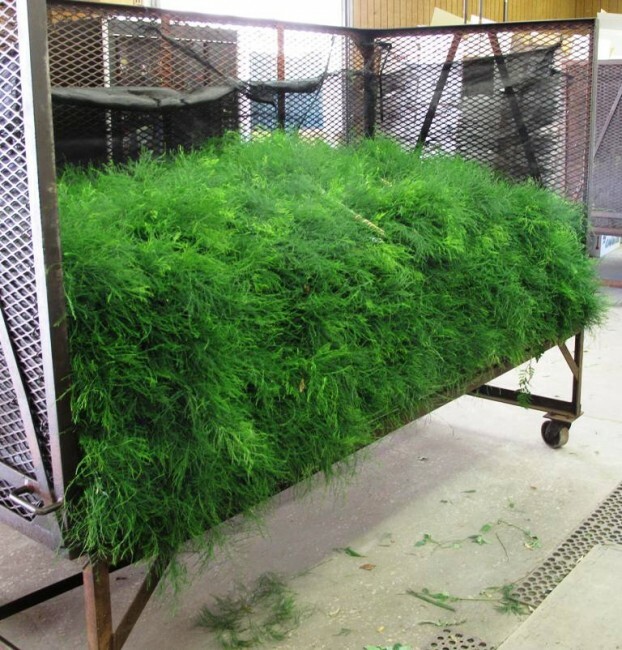 I left with a huge box of samples and was delighted to use the ferns, foliage, grasses and greenery in my demonstrations on the Epcot stage during the following three days. I was proud to tell my audiences that about those American grown, FLORIDA grown stems beautifying my vases. And in a state where nearly all of the imported flowers and foliage flow through nearby Miami International Airport, it was doubly important to have this gorgeous and tangible example of the Slow Flowers movement in my hands. Thanks again for joining me today and please visit debraprinzing.com to see my photos and to follow links to all Erik’s social sites. Listeners like you have downloaded the podcast nearly 49,000 times. Until next week please join me in putting more American grown flowers on the table, one vase at a time. And If you like what you hear, please consider logging onto Itunes and posting a listener review. 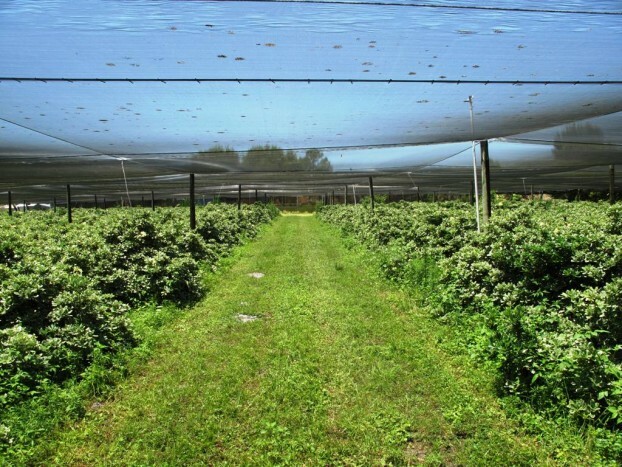 This entry was posted on Wednesday, May 20th, 2015 at 5:12 am	and is filed under American Grown, Blog Posts, Flower Farming, General, Plants, Podcast Episodes, SLOW FLOWERS Podcast, Slowflowers.com the Directory of American Flowers. You can follow any responses to this entry through the RSS 2.0 feed. You can leave a response, or trackback from your own site.